On January 16, 2014, Leonardo DiCaprio was nominated for his 4th acting Academy Award for his performance as Jordan Belfort in Martin Scorsese's The Wolf of Wall Street. On March 2, 2014, Leonardo DiCaprio lost his 4th acting Academy Award as Matthew McConaughey beat DiCaprio for his work in Dallas Buyers Club. The Internet exploded after this loss. There was no shortage of memes, .gifs, and tweets surrounding the subject. My personal favorite comment of the night was this comment. 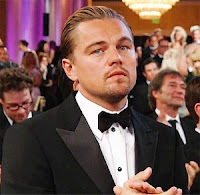 After nearly spending his entire life in show business and having zero Academy Awards to show for it, it certainly appears as if The Academy hates Leo. While that's obviously not true as no man with five total Oscar nominations can ever truly say The Academy dislikes him, it does seem that after Leo has tried so hard to win and has come up short every single time that Leo will never win that Golden Statute. Leonardo DiCaprio has a new movie coming out this Oscar season called The Revenant. It's made by Alejandro Gonzalez Inarritu- the man who just won two Academy Awards for directing and producing Birdman a few months ago- and the Oscar hype train for Leo has already started. Leo has already stated how grueling and agonizing the filming conditions were, how he ate raw bison meat, and how he actually slept in an animal carcass. He is certainly setting the stage early and creating a narrative for himself in hopes in endear himself to other Oscar voters. Yet the mood that I am sensing from people not in the industry is the same one my wife had after she saw a trailer to The Revenant, "Well, that's another film Leo isn't going to win an Oscar for." I am not suggesting that Leo will not win an Academy Award for The Revenant just because he hasn't won one before, I am saying that he will not win one for his role in the film because Leo has a fundamental misunderstanding of how The Game is played. I have no idea if Leo will or won't get nominated for his work in Inarritu's latest, but I do know that he will not win. You can claim talent and performance all you want until you're blue in the face, but talent and quality is not indicative of Oscar success. It's why Dances With Wolves can defeat Goodfellas for Best Picture, why The Social Network can get screwed by The King's Speech, and why Leo won't win for his work in The Revenant. The Academy Awards are not an objective opinion of who or what is best, it's an opinion by a very small, non-diverse, closed-minded group of what they collectively think is best. To The Academy's credit (detriment? ), they are consistent on what they determine is best, and for some reason, Leo hasn't figured this out yet. 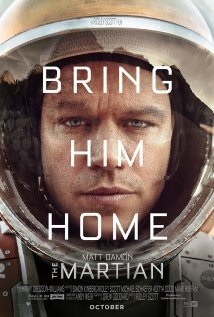 This is the first line in Andy Weir’s 2011 novel The Martian, but it might as well have been the words uttered by director Ridley Scott after his 2014 film Exodus: Gods and Kings was released. Exodus did end up making its money back (assuming the marketing budget wasn’t astronomical- which it might have been) but it’s 27% on Rotten Tomatoes (RT) was just another film in the laundry list of terrible Ridley Scott films that he’s made within the past 15 years. Ridley Scott will be remembered as an all-time great director thanks to Bladerunner, Alien, and Gladiator, but since the release of 2001’s Black Hawk Down, Scott has made a lot of terrible films including 2013’s The Counselor (35% on RT), 2010’s Robin Hood (43% on RT), 2008’s Body of Lies (54% on RT), 2005’s Kingdom of Heaven (39% on RT), 2006’s A Good Year (25% on RT), and 2012’s Prometheus (which I don’t care what RT says about this one, this was a huge disappointment among all Ridley Scott fans and fans of the Alien franchise). Certainly Scott has made some good films including 2003’s Matchstick Men and 2007’s American Gangster, but the perception on Ridley Scott as recently as the summer of 2015 was that this was a man who seemingly forgot how to direct.